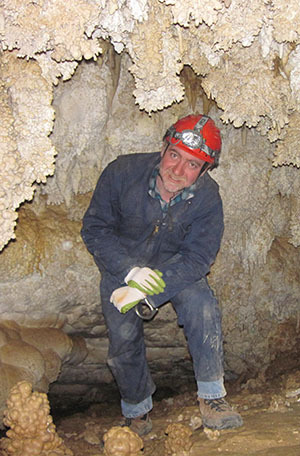 Weber State University Department of Earth and Environmental Sciences professor Marek Matyjasik has been named a Fulbright Scholar. He will spend February through June 2020 in Poland, where he will conduct research and teach two geosciences courses at Warsaw University. This won’t be Matyjasik’s first experience at Warsaw University; he received his bachelor’s and master’s degrees there. Matyjasik is the 11th Fulbright recipient from Weber State in the last 20 years. His field of study focuses on chemical reactions with water and mineral surfaces. Matyjasik has been with the university for 21 years. He teaches geosciences and leads study-abroad courses in Iceland and Hawaii. Matyjasik hopes that his experience teaching in Poland next year will help advance Weber State’s international recognition. In addition to his academic work, Matyjasik has been instrumental in securing funding for Weber State to assist students with a desire to study the physical sciences. Last year, the College of Science was awarded a National Science Foundation grant that will provide scholarships to 30 low-income, high-achieving students. Matyjasik was a part of the team of faculty from the Department of Earth and Environmental Sciences responsible for acquiring the grant. Established in 1946 under legislation introduced by the late Sen. J. William Fulbright of Arkansas, the Fulbright program is the most widely recognized and prestigious international exchange program in the world. The program awards approximately 8,000 grants annually between scholars and students from the United States and other participating countries. More than 380,000 recipients have participated in the program since its inception.